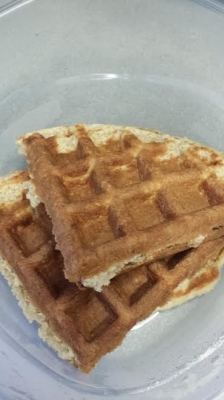 A vegan alternative to protein waffles. Grind oats to a flour and mix with protein powder. Use a handheld blender/magic bullet to mix the rest of the ingredients together. Spoon onto waffle maker, and follow waffle maker directions for cooking the waffle.